The 19th century was a pivotal period for the Brighton and Hove area of East Sussex. Many of the major attractions were built during the Victorian era, including two of the major piers. Over time, Brighton became not just a very popular destination for day trippers, but also for home makers. Lots of Victorian-style houses were built, complete with Victorian-style tiled floors. 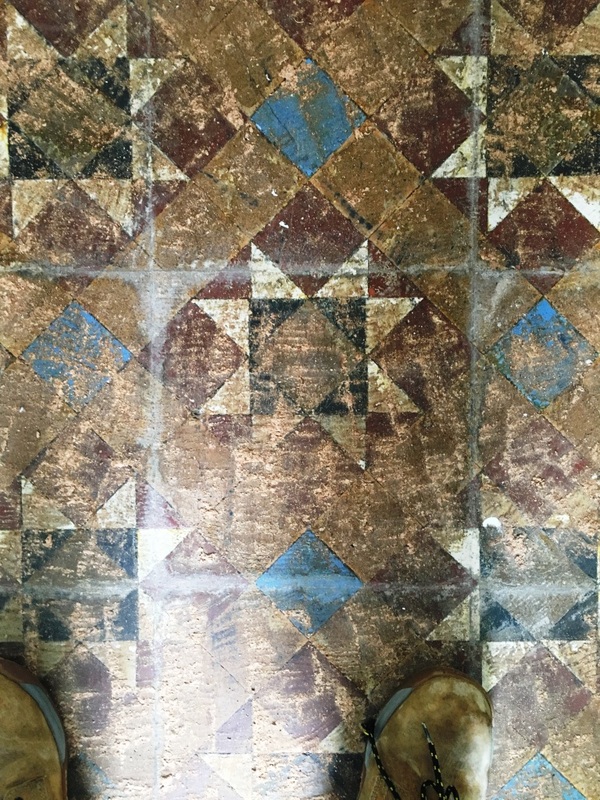 Modern homeowners are increasingly uncovering these original Victorian tiles after decades of being hidden under carpet overlay. 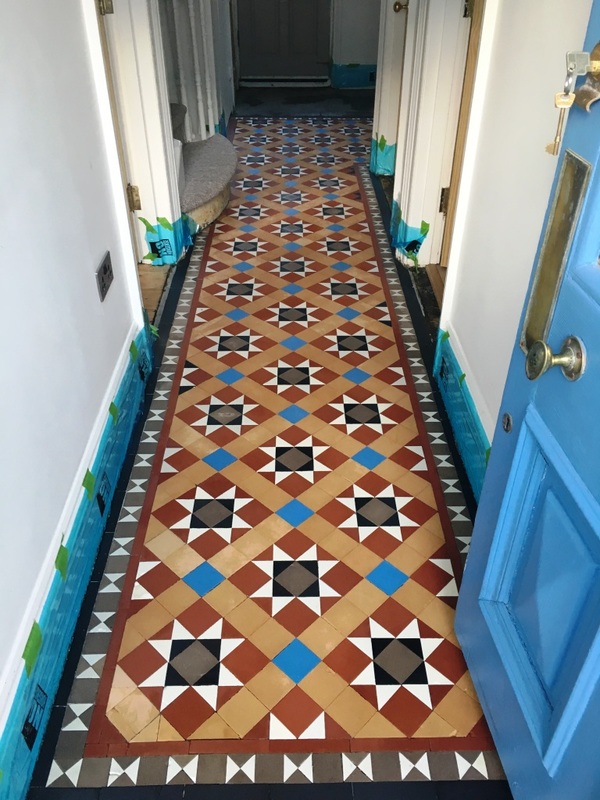 Contrary to popular belief, it is very much possible to restore these tiles back to peak condition despite suffering from damage, dirt and staining. I recently a house in Brighton to prove just that. 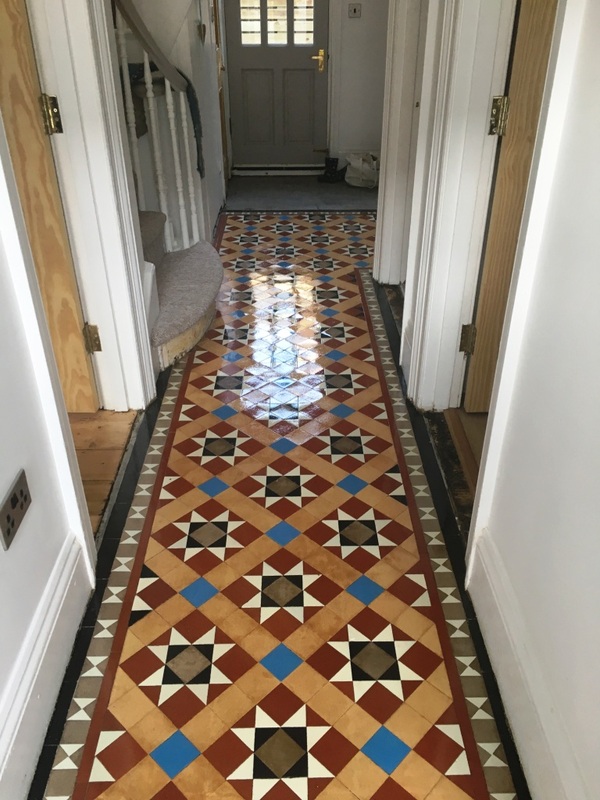 The customer’s Victorian tiled hallway floor had been covered by many carpets over the past few decades and so there were many thick glue deposits, along with a heavy build-up of dirt and staining. After protecting the woodwork with tape, I set about cleaning the Victorian tiles using a combination of products. One of these was Tile Doctor NanoTech HBU (HBU = Heavy Build-Up Remove), a powerful cleaner which uses nano-sized cleaning particles to penetrate deep into the tile to lift out and dissolve ingrained dirt and stains. I mixed the NanoTech HBU together 50:50 with Tile Doctor Pro-Clean, a reliable alkaline-based cleaner. 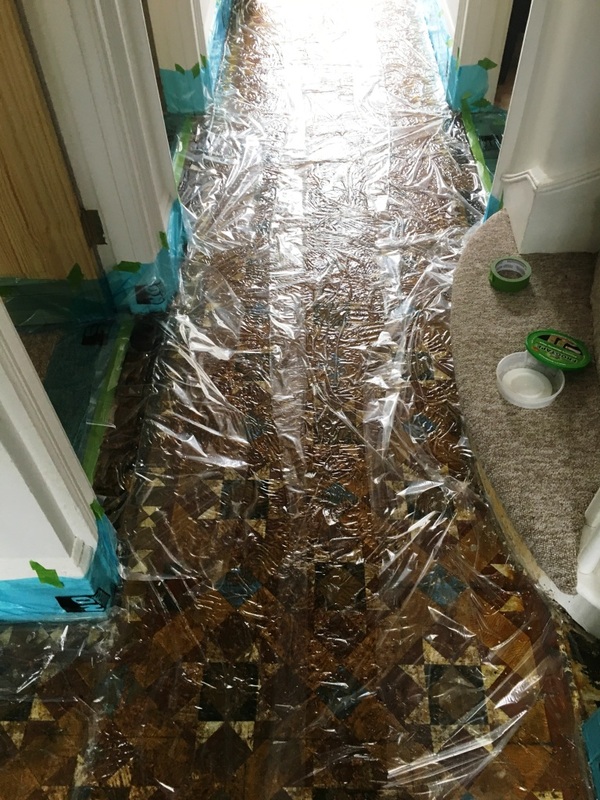 This cleaning mixture was applied to the hallway floor and then covered with a plastic sheet for a few hours before being scrubbed into the tiles thoroughly with a lot of elbow grease and a specialised scrubbing pad. A lot of the glue deposits were stubborn and would not respond to the chemical cleaning, so I needed to carefully scrape these off by hand. 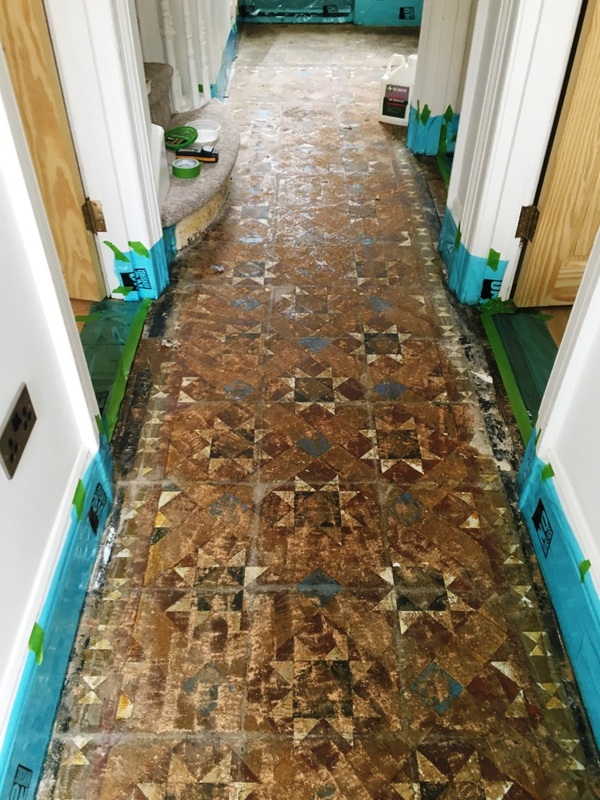 Once the majority of the glue had been removed I applied a set of diamond-encrusted burnishing pads to remove the top layer to resurface the floor and bring back a lot of the definition in the tile. After completing the cleaning process, I left the floor to dry completely. Giving the tiles enough time to dry is important, especially in older properties which won’t have a damp-proof membrane installed. Even a small amount of excess moisture can cloud the sealer and damage its performance. 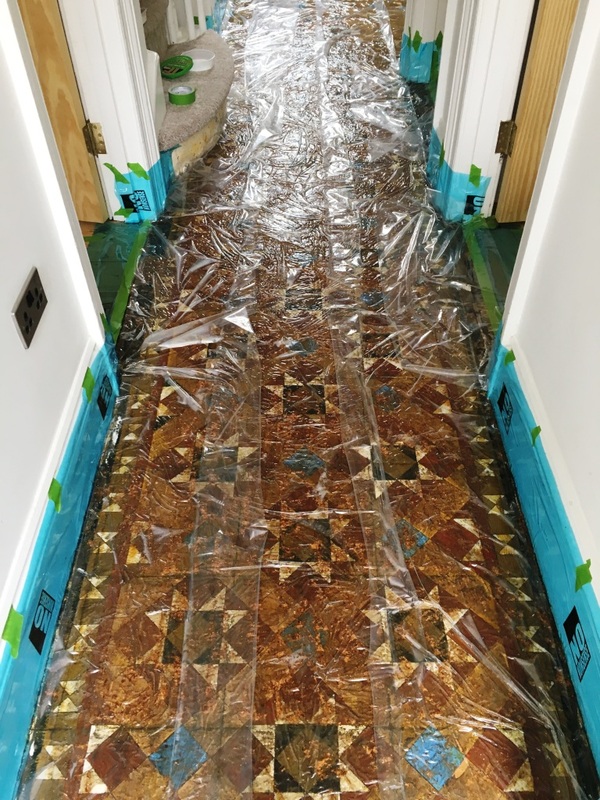 Once I was satisfied with the moisture level, I proceeded to seal the tiles using numerous coats of Tile Doctor Seal and Go which is a water based sealer that doesn’t leave a smell as it dries and as well as adding a layer of protection to the tiles give an appealing low-sheen finish. The client, being of French nationality, said she was “sur la lune” (over the moon) with the result! Look at the photos below to see the transformation – I must say I was quite pleased myself!